Perhaps the most important reason to have a professional HVAC company handle your air duct cleaning is what you can’t see — in many cases, hidden mold. This generally occurs when moisture gets into the duct and spores begin to grow, which is then released into your living spaces through the vents each time you use your system. This can be a serious health hazard, so it is very important to make sure that none exists — and if it does, that it is thoroughly cleaned. Take a moment to think about how much time your family spends inside your home. The air that you breathe while in the comfort of your own residence could be causing serious health issues without you even knowing it — especially if it has been a while since the ductwork has seen a professional cleaning or you own pets. The most common types of contaminants include dust, mold, mites, debris, and animal hair and dander. Furthermore, households with small children and seniors have to be especially proactive about internal air quality. Studies have shown that the air inside a home can be as polluted as that of smog-filled cities if proper precautions aren’t taken. Scheduling annual cleanings is a great way to help keep everyone healthy. How can you tell if an indoor air quality problem is affecting your family’s health? Look for signs and symptoms of possible respiratory distress. 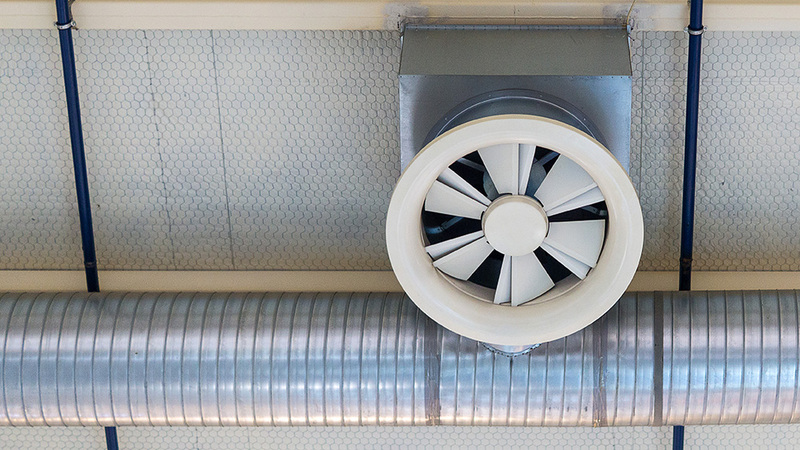 If certain members of your household have asthma or regular allergies — or even start to exhibit cold symptoms that persist with treatment — it is possible that dirty air ducts are to blame. If you’ve already noticed your family sniffling and sneezing outside of normal allergy season, it might be a little too late. Instead, be proactive about the process and schedule a cleaning ahead of time. This ensures that all debris and allergens are appropriately cleaned and that any issues with your system are resolved as soon as possible. When it comes to home maintenance, there are some chores you shouldn’t handle yourself — and air duct cleaning is definitely one of those tasks. Many homeowners attempt to clean air ducts with their personal vacuum cleaner, but this only releases more dust and allergens into the living area of the house. Instead, leave the task to a professional team that has the right equipment to get the job done and the knowledge to know exactly what to look for during the process. Plus, hiring a professional HVAC company to help with the process gives you an opportunity to ask questions about other areas of your system that need additional attention. Are you ready to schedule a professional air duct cleaning? Our courteous and knowledgeable Warner Service team is here to help. Give us a call today to set up your appointment.